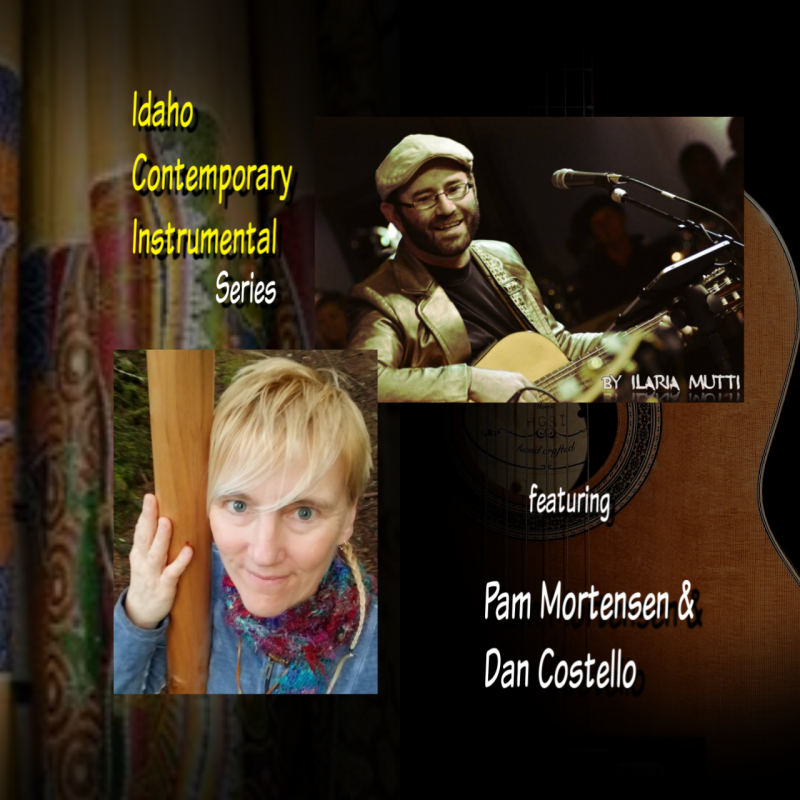 Come join us for an evening of Contemporary Instrumental music featuring Dan Costello on guitar and Pamela Mortensen on didgeridoo. Both Pamela & Dan will share with you the stories behind their original compositions and you'll get to hear them played as they were meant to be heard, up close and personal. There will be light appetizers provided while you relax and take in the beautiful instrumental sounds. Seating is limited, so reserve your tickets soon!! This is part of an ongoing concert series in the Boise area, featuring Contemporary Instrumental music composed and performed by artists from Idaho & beyond. You will have an opportunity to mingle with the artists during the intermission and after the concert. That is what makes a small venue concert such a special experience. Additionally, you can take the music home as a souvenir because there will be CDs available for sale. Currently based in the Pacific Northwest, Pamela Mortensen has had a long and colorful career as a versatile musician and composer. It wasn’t until 2005 that the didgeridoo, an ancient Aboriginal instrument from Australia, found its way into her musical life and totally changed it forever. Since then, she has traveled throughout the U.S, Canada and Mexico bringing her unique blend of contemporary and traditional styles to audiences. Her music ranges from ethereal soundscapes to full on energetic dance numbers. She is considered one of the best women players of didgeridoo in the world and focuses much of her time introducing new audiences to this ancient instrument and what it’s capable of. Her list of accomplishments include twice winning an Seattle Artist Award from the Seattle Arts Commission, a Distinguished Performance Award in the Yamaha Electone Organ Festival and being selected for the 2004 Yamaha AW16G Recording Competition in the world category. She currently has six albums to her credit and her influences include Eastern Indian music and rhythmic music from Middle Eastern and African traditions. Dan Costello is a singer/songwriter, guitarist and multi-instrumentalist, composer and prime staple of the remote but robust music scene in Boise, Idaho, USA. Armed at an early age with a radio and a baritone ukulele, his love for music led him to a classical guitar degree from Boise State, and a full-time professional music career now spanning nearly 20 years as a performer, writer/arranger, educator and simultaneous rabble-rouser/peacemaker in his local community. Well-known and loved by his audiences for his singer/songwriter performances, Costello's talent and versatility also shine through in his instrumental compositions. He already has one instrumental album available, and is currently working on his second. This concert is your chance to enjoy another side of Costello's music that you've not likely experienced before. You're in for a real treat.